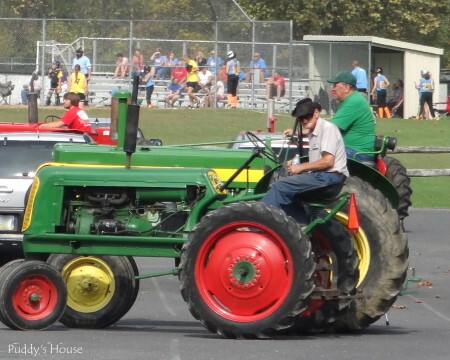 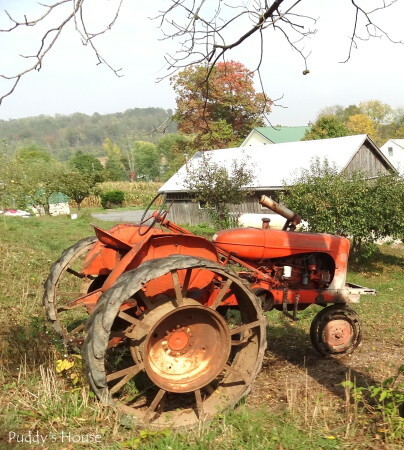 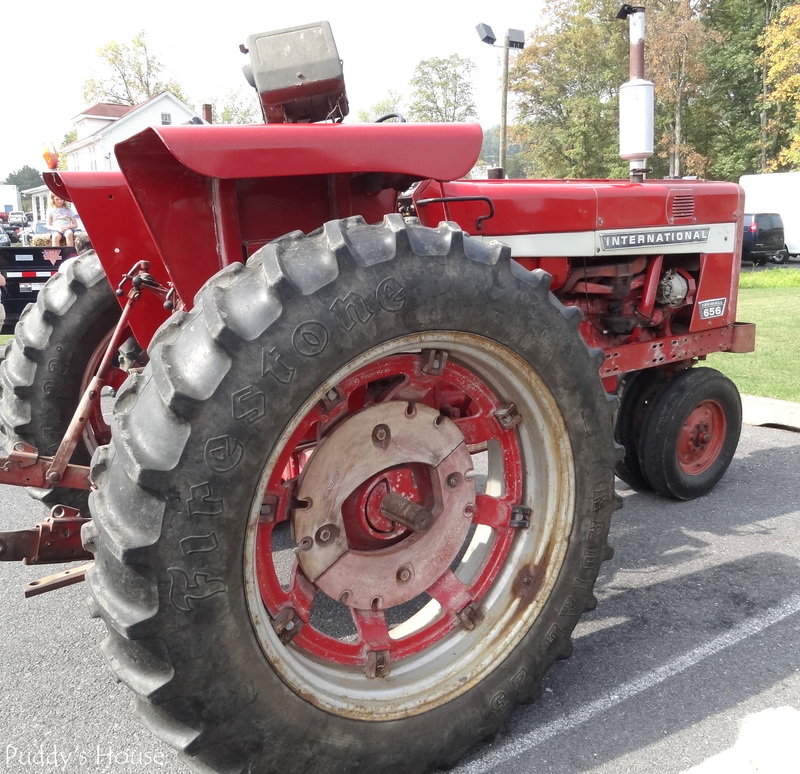 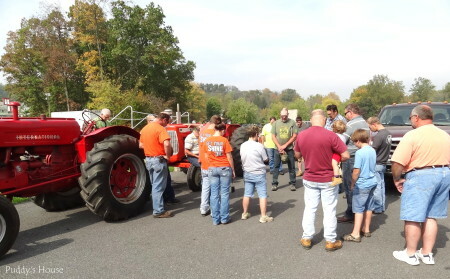 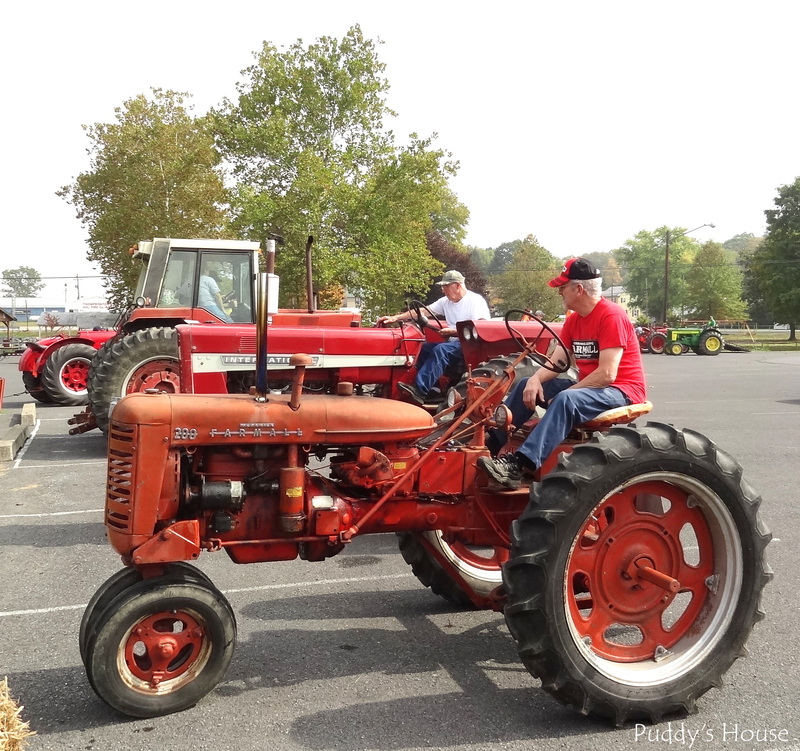 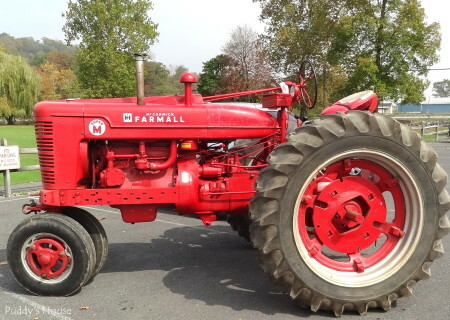 For the last 8 years, my family has had plans for the 1st Sunday in October – it is the annual tractor ride in Juniata County. 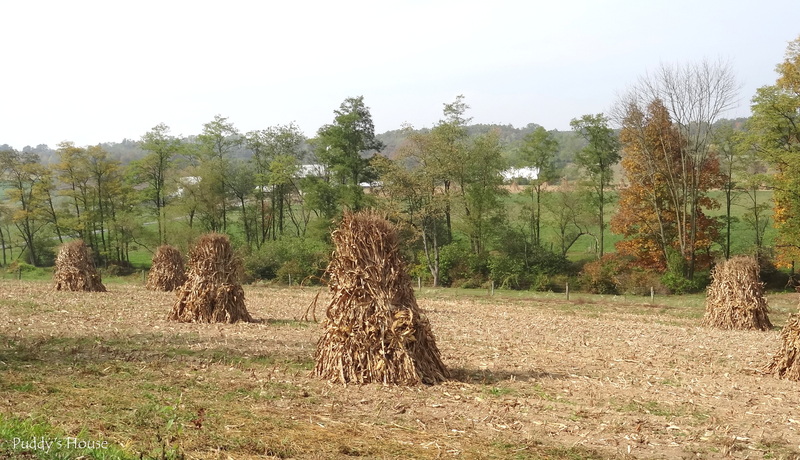 I wrote about last year, here. Last year, it was pretty chilly and there was a threat of rain, so there were only about 10 tractors that joined the ride. 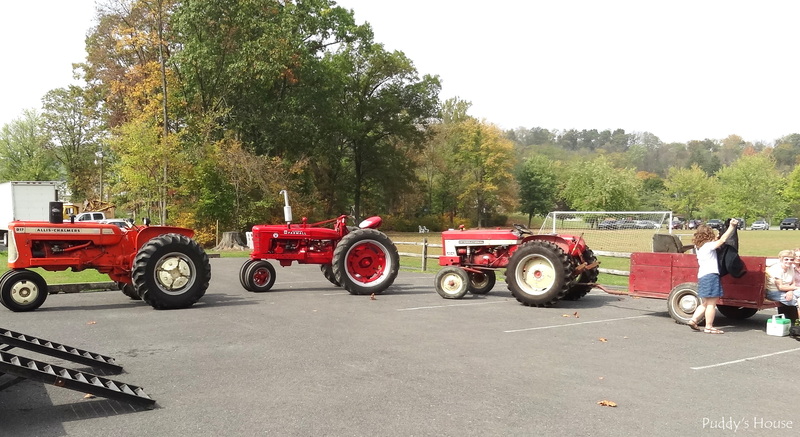 This year, it was sunny and warm and we had 22 tractors. 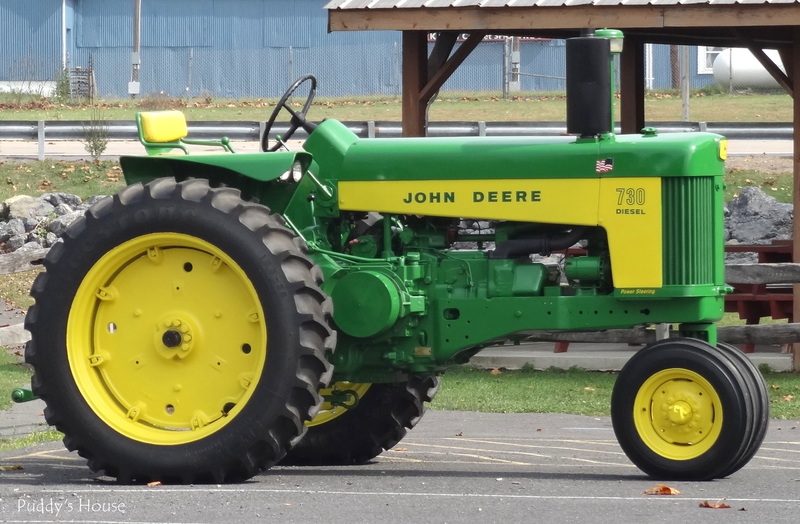 My Dad planned the ride again, and we started at Thompsontown Park. Since it was so nice and warm, everyone was socializing before the ride, so I tried to get pictures of the tractors before we started. But, somehow I failed to get a clean shot of our tractor and wagon, so this first one is from 2 years ago parked at my parent’s house, but it looked the same before we started this year. We did some decorating though, and the wagon got some John Deere buntings around all the sides. 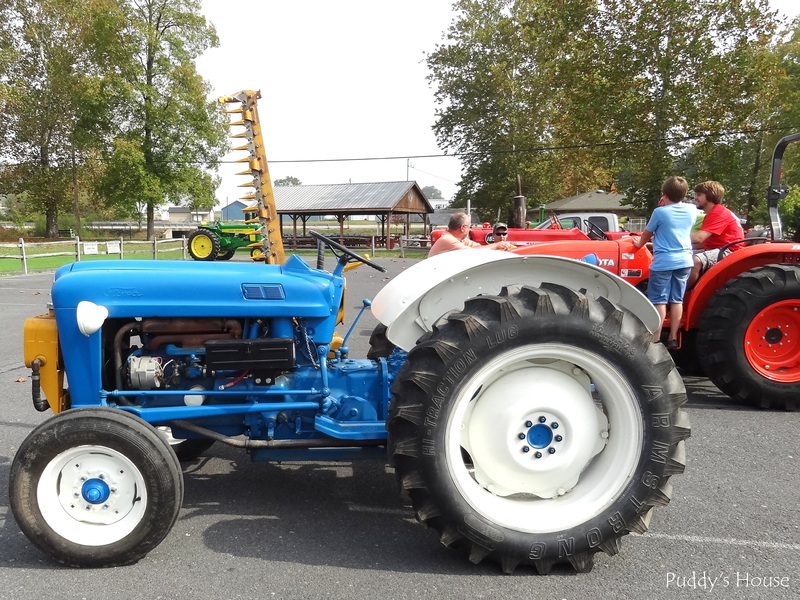 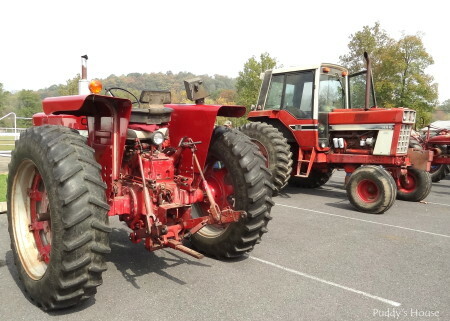 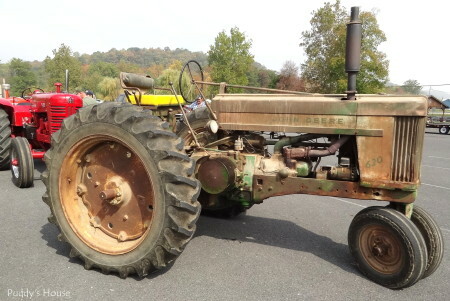 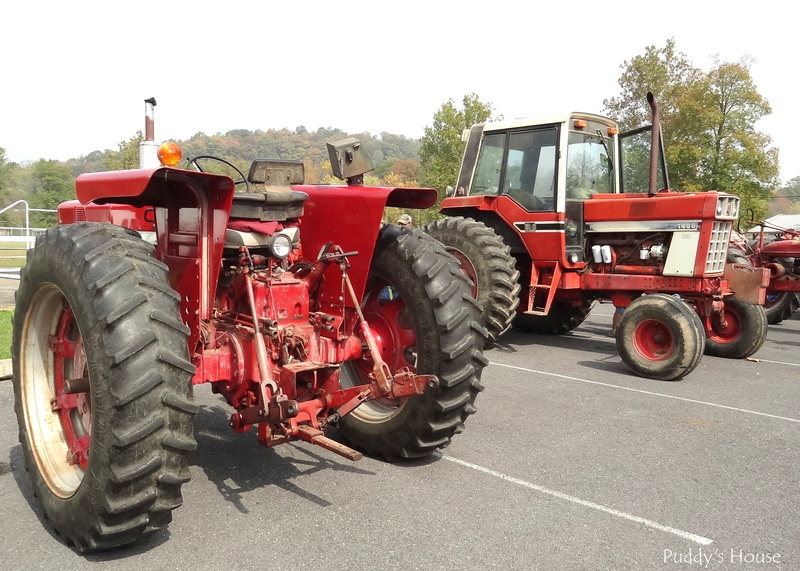 Obviously, we are partial to the John Deeres, but it is fun to see all the other types of tractors: old, new, shiny, dull, red, blue, green, orange and brown. Before the ride started, my Dad led the prayer to bless the ride and all the participants. Then, it was time to fire up the engines and get moving. 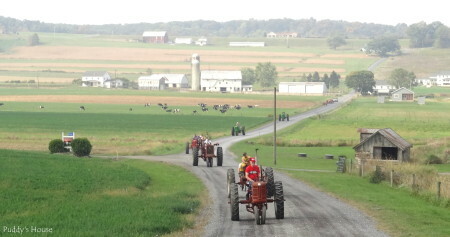 We headed out of town to enjoy the country scenery. 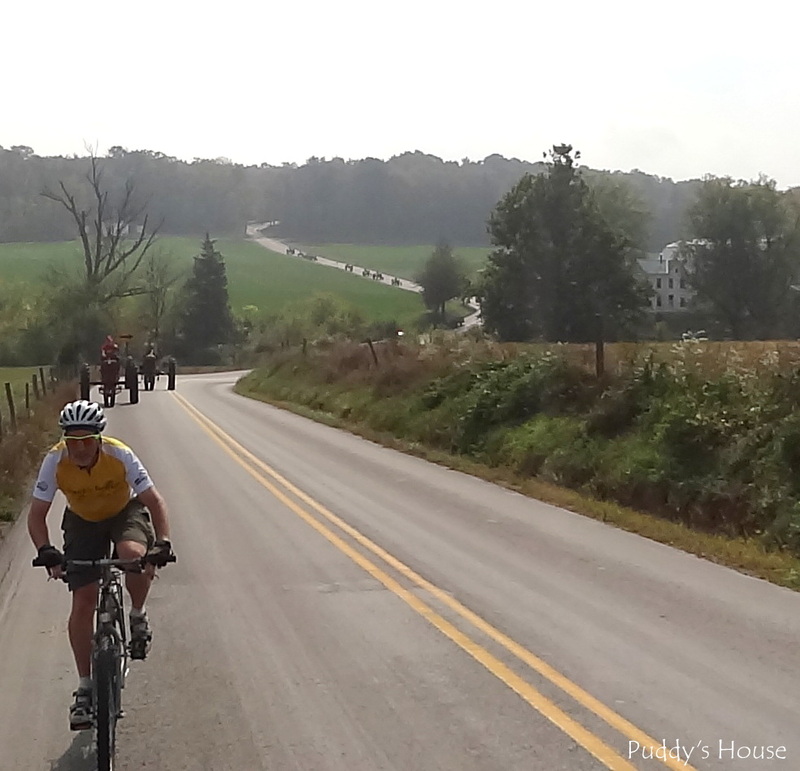 We rode for about 1.5 hours, so we got to see plenty of sights along the way. 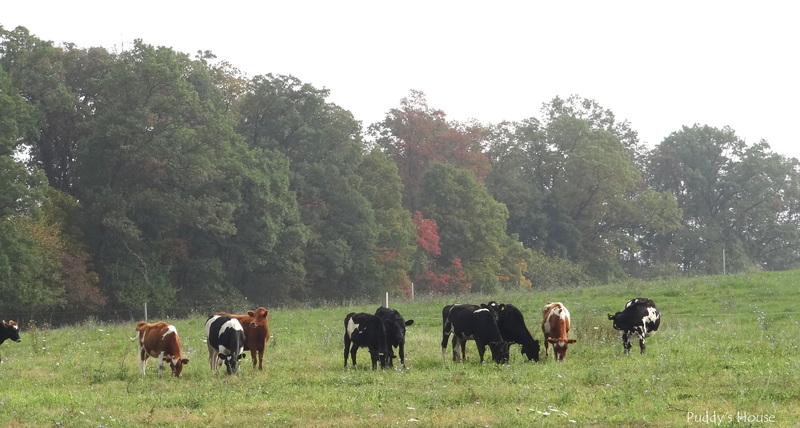 Juniata County is definitely farm country, so there were plenty of animals and farm fields. 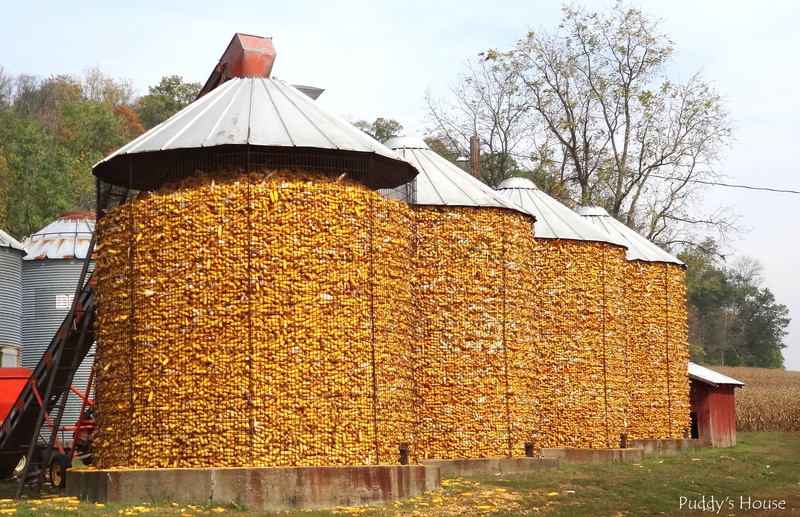 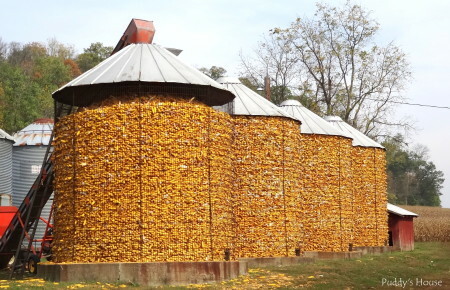 I loved to see the good old fashioned corn cribs filled to the top. 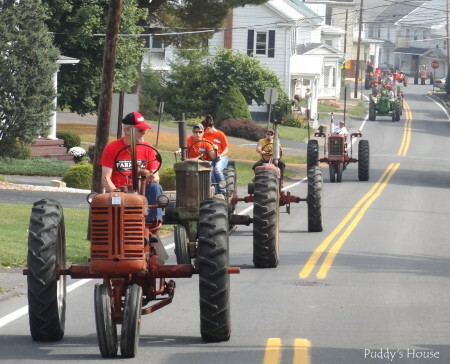 Most people know Lancaster County is Amish country, but so is Juniata County. 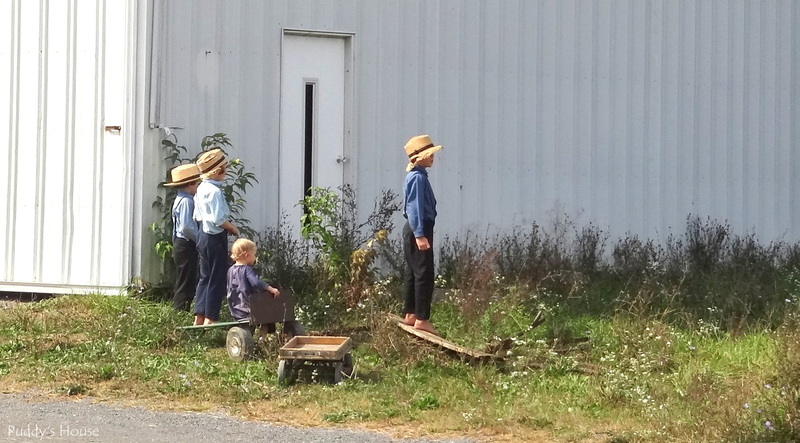 They were having church at the Amish farm in the picture below. 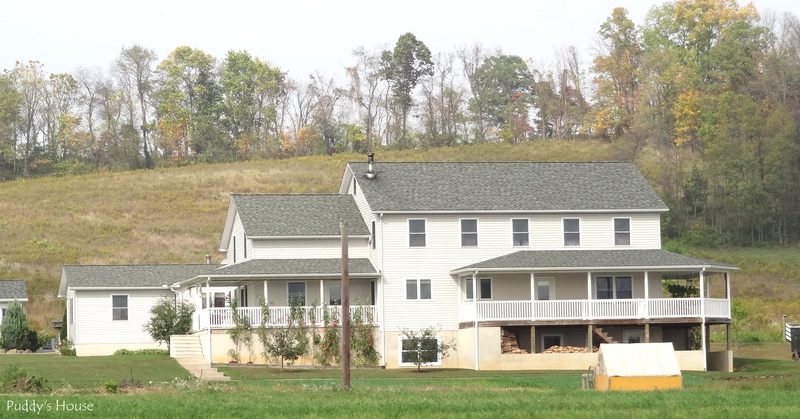 This is the Amish birthing center. And, I’m sharing this cute picture of the Amish children, because it doesn’t show their faces, which makes it acceptable to their culture. 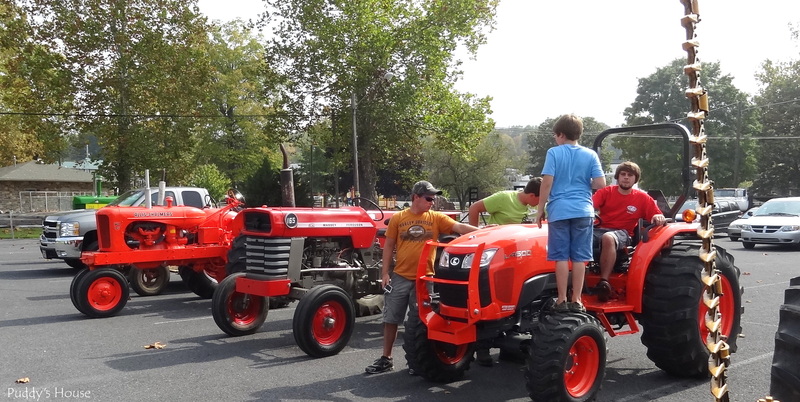 They were just hanging out watching all the tractors ride by. At another spot, we saw one of the tractors that is used by the Amish. And, this is what an Amish corn field looks like when harvesting the corn. But, back to the tractors. 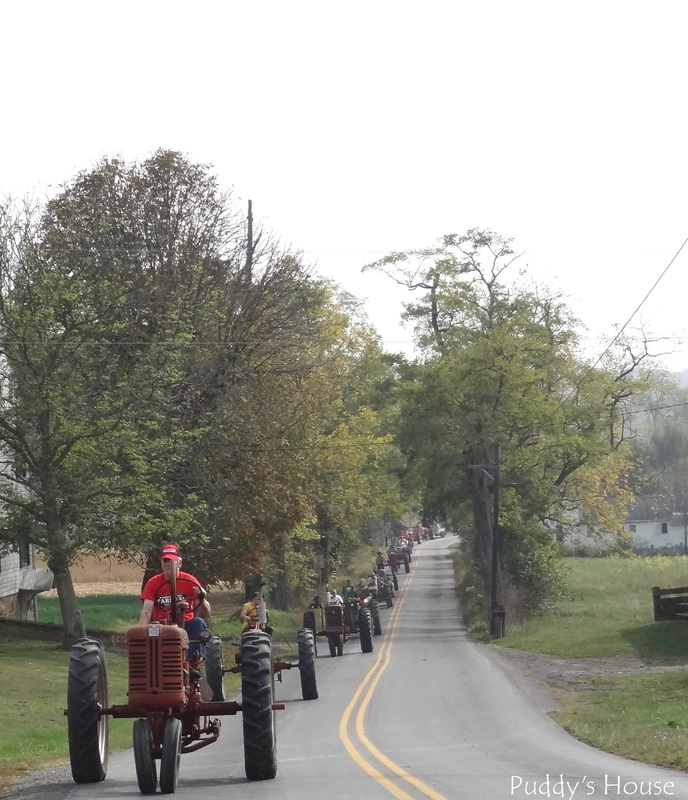 This bicyclist joined all the tractors, and provided us some entertainment as he rode along with us. 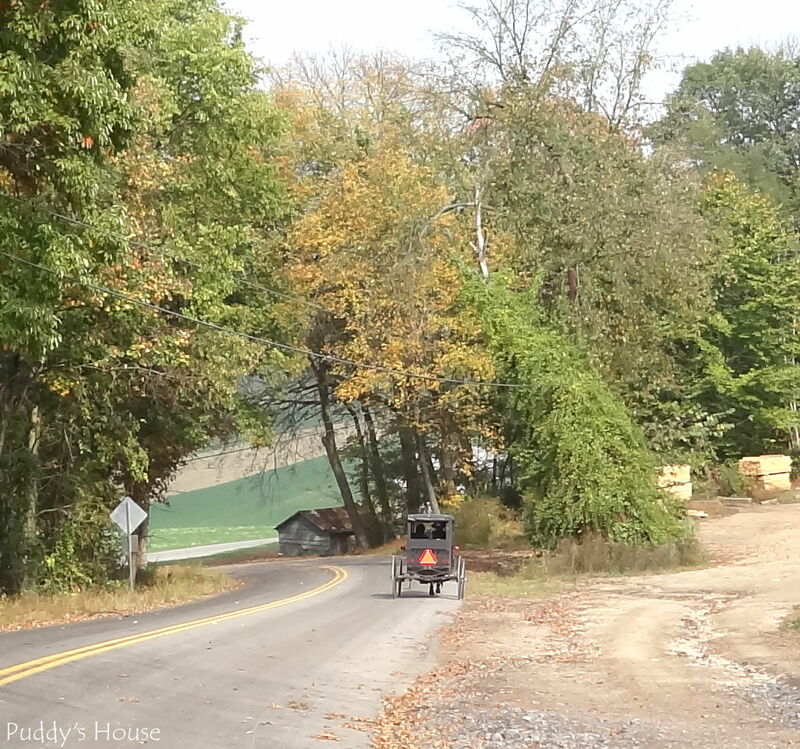 It was fun to see him fly down the hill in the background below. This picture is a bit hazy, but it shows the beauty of Juniata County. Lots of open space and farmland. 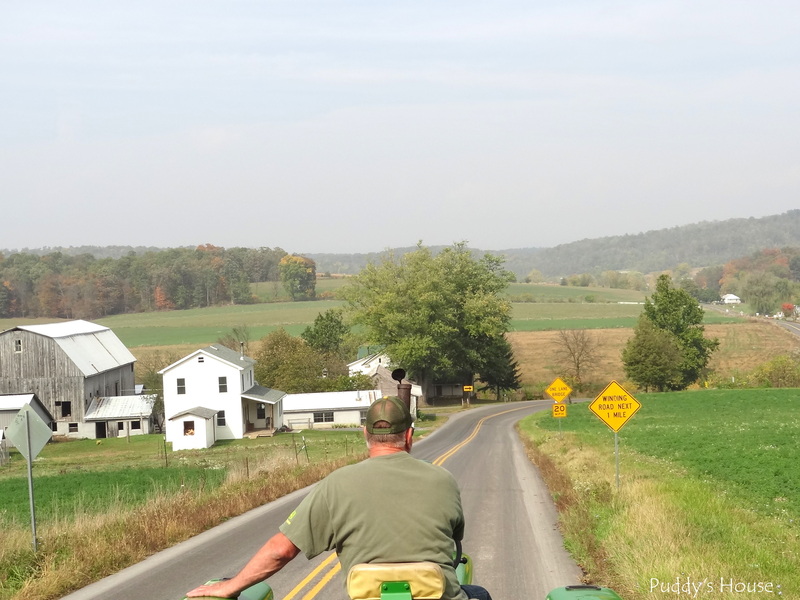 It is one of those things that you take for granted when you see it everyday, but this year as I rode along on the tractor ride, I was captured by the beauty and I hope that these pictures do it justice when I look back on the day. 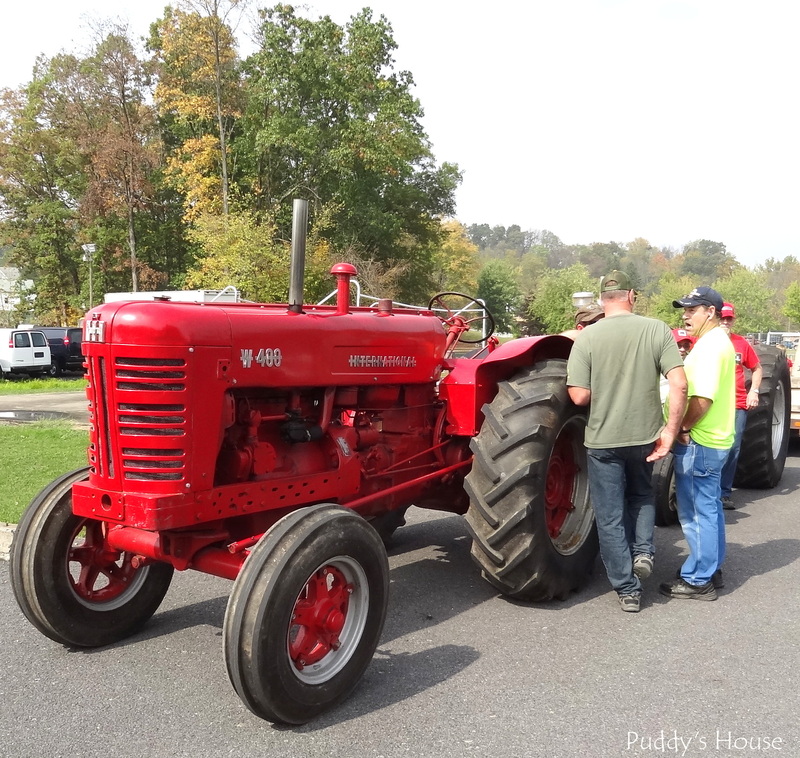 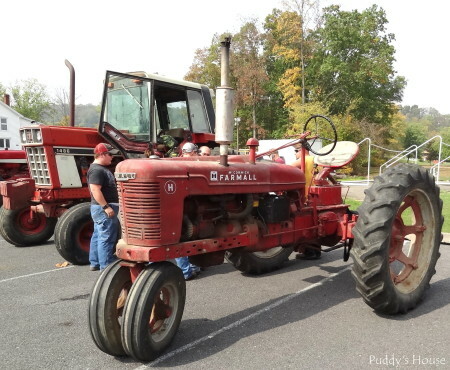 I hope you enjoyed a glimpse of Juniata County and the tractors that joined us on the Annual Tractor Ride. 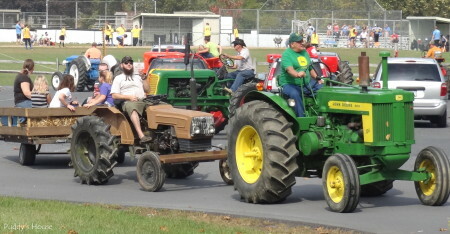 This was very interesting, Jim. 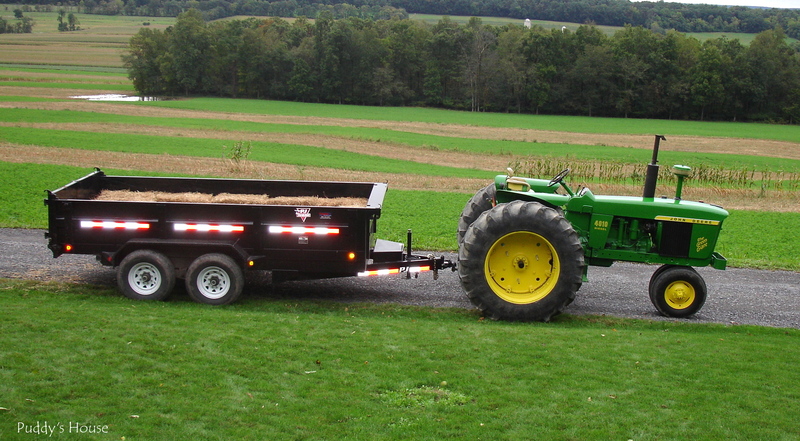 Thanks for sending it! Norman said he wishes it would be a bit closer, he would put a couple of tractors in it! 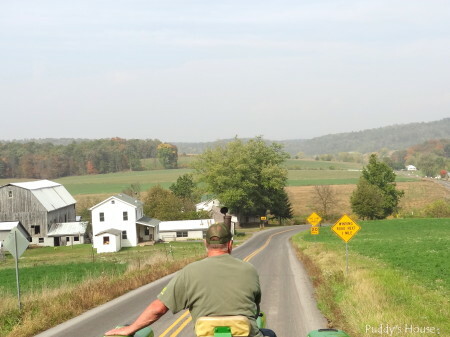 It would be a very scenic drive, and you would see so much more than when driving a car!